I’m not big on words so, hello world! 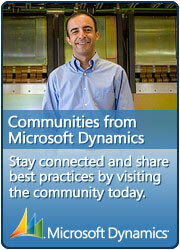 If you want to learn about Dynamics CRM or play with some cools tools you’ve come to the right place. This entry was posted in MS CRM and tagged Bing'd, MSCRM, Rhett Clinton on February 5, 2010 by Rhett Clinton MVP.